Sophisticated and fit for royalty, the “forbidden” black rice makes for a dramatic presentation from the typical brown rice we all know and love. 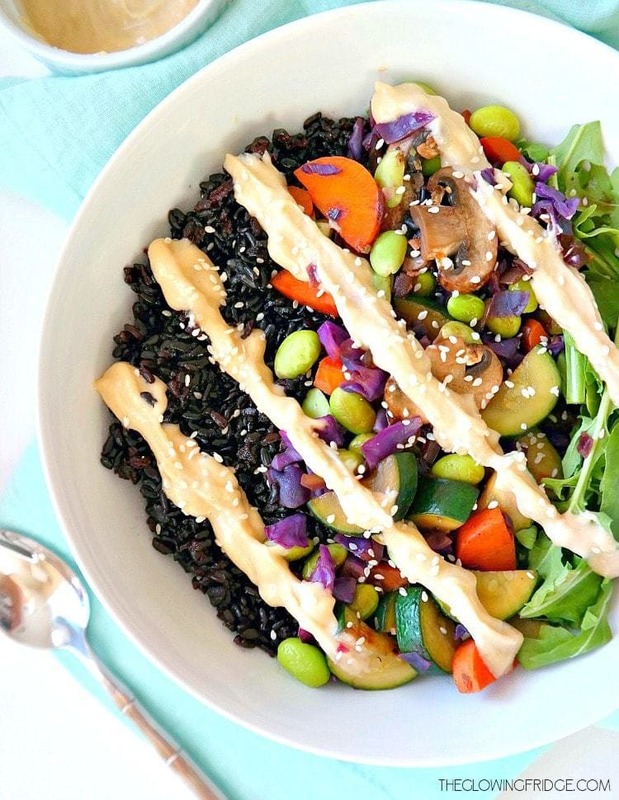 With a nutty flavor, black rice has more of a earthy bite (in a good way) and offers a striking contrast when paired with colorful veggies and greens. Such a nice change of pace! The best thing about black rice? It has more antioxidants than blueberries (woah, right?!) and plenty of iron, vitamins, minerals and fiber. Just 1/2 cup provides 6 grams of fiber and 10 grams of protein. 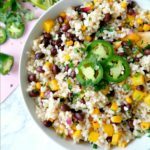 I usually have about 1 cup of grains altogether in one bowl which makes this a nutrient-dense powerhouse meal. 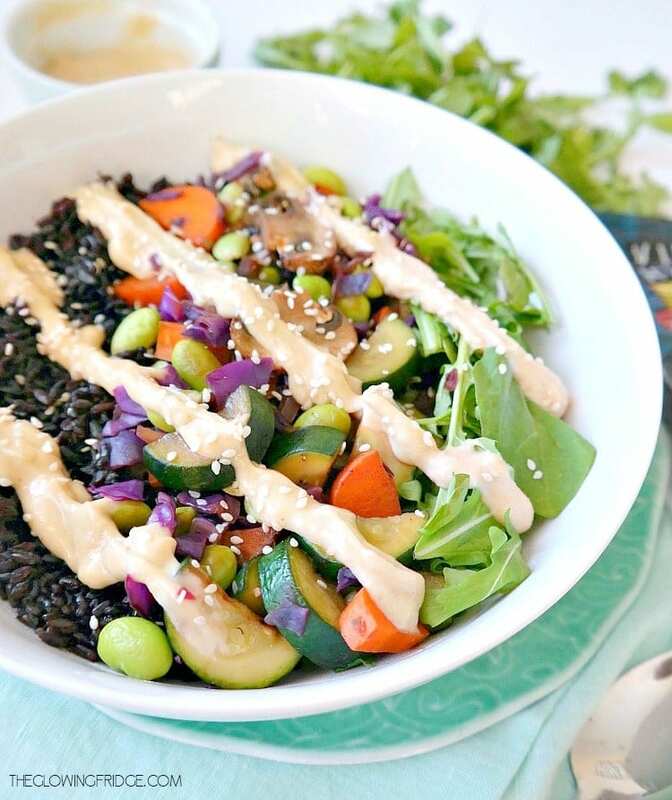 So, for those days when you need extra fuel or notice that your body needs a big dose of nutrients, this Forbidden Rice & Veggie Glow Bowl can do just that. 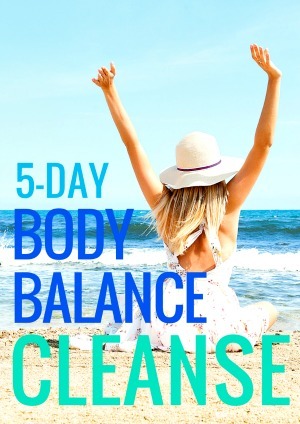 You’ll be feeling balanced and energized in no time. I felt full and sustained for a good 4-5 hours. 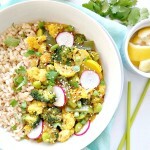 You guys know I love to eat nourishing bowls of tasty plant based combinations that I like to call “Glow Bowls”. 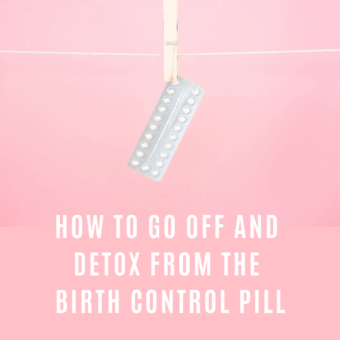 They’ve sort of turned into a thing here on the blog. 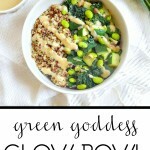 Glow Bowls tend to have lots of greens, lots of veggies, some type of whole grain and a creamy sauce (like my Green Goddess Glow Bowl or Hippie Macro Glow Bowl). 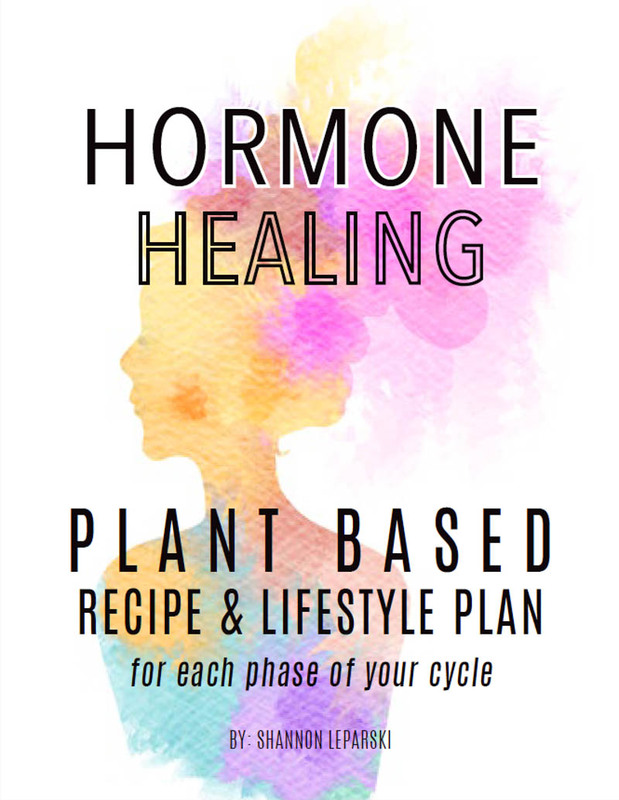 All of the rainbow colors and variety of nutrients nourish from within, help our skin to glow and allow our bodies to thrive. Hence the term, Glow Bowl 🙂 Plus, eating anything out of a bowl is just better. 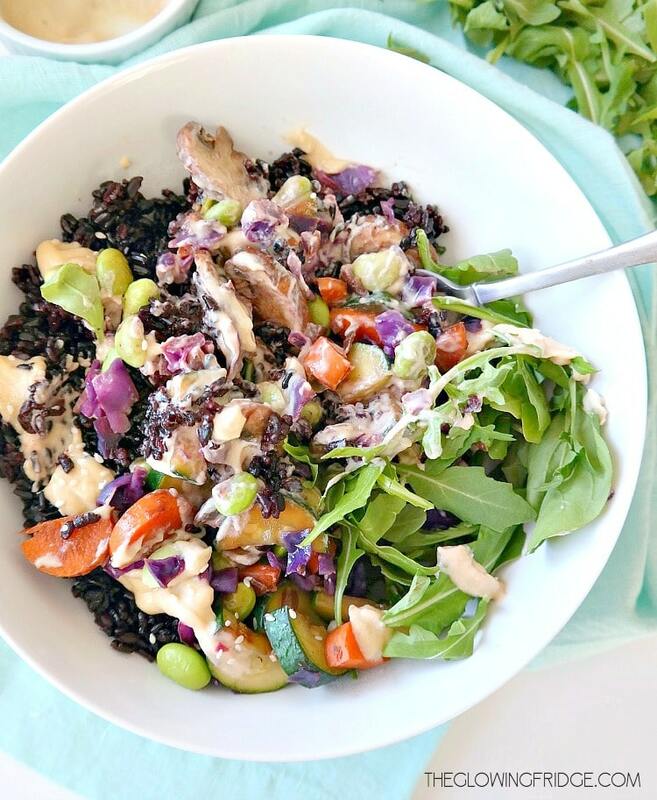 This Glow Bowl has a bed of greens and rice with sautéed zucchini, carrots, mushrooms, purple cabbage and edamame – a yummy and super colorful mix! Plus, the 1/2 cup serving (in each bowl) of edamame adds a hefty 13 grams of plant protein. 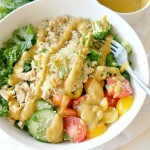 I used the same creamy lemon tahini sauce from my Green Goddess Glow Bowl but added ground ginger for a zesty kick. I love how the flavors combine in this rainbow bowl, you just feel good eating it. Definitely another lean, clean and green inspired meal! My favorite brand of tahini is this one . I’ve seen black rice in most grocery stores but I love the Village Harvest Black Rice. Did I mention it’s gluten free too?! You can find a store near you that sells the Village Harvest products here. 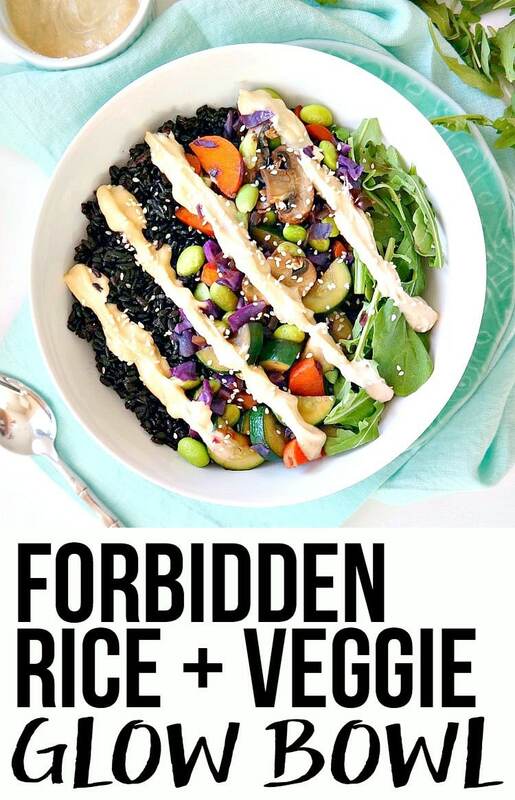 I encourage you to branch out in the kitchen and spark some fresh creativity by trying this Forbidden Rice & Veggie Glow Bowl… it does not disappoint and your body will thank you for it. Combine 1 cup of Village Harvest Black Rice with 1¾ cups water in a pot and bring to a boil. Cover, reduce heat to low and simmer for 20 minutes or until all water is absorbed. In a separate fry pan, heat the vegetable broth (or oil) on medium-high heat and sauté the onion with garlic for about 4 minutes or until transluscent. Add a pinch of salt and pepper. Mix in the edamame, carrots and zucchini and mushrooms. Reduce heat to medium and sauté about 7-8 minutes or until carrots are softened. Add in the purple cabbage last and cook about 1-2 minutes. Turn off heat. 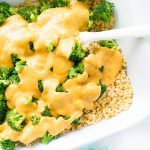 In a small bowl, whisk together all ingredients for the Lemon Ginger Tahini Sauce, adding the water only if needed to reach desired consistency. 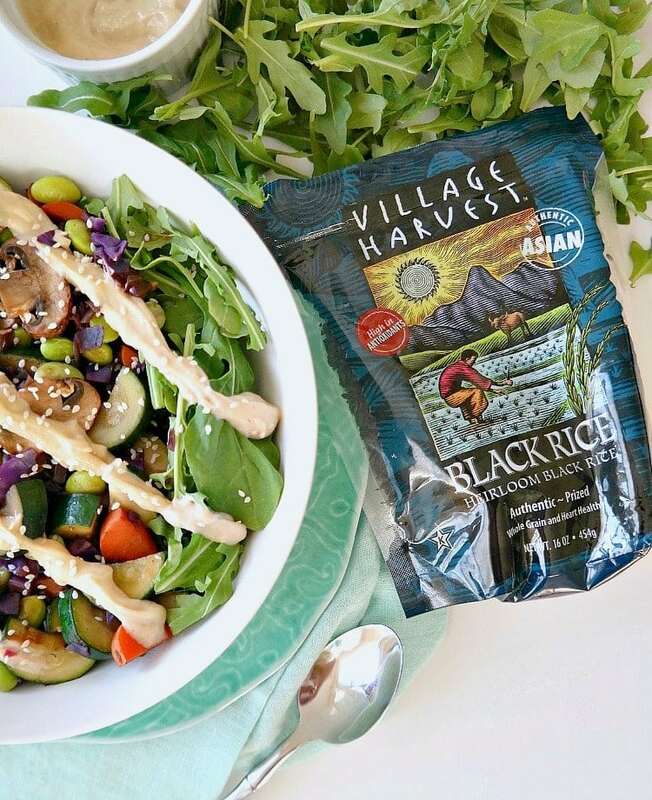 Add 1 cup of cooked black rice to a bowl with 1-2 cups of your favorite greens and the desired amount of sautéed veggies over top. Drizzle with the tahini sauce. Sprinkle with sesame seeds. 1.I dont think i’ll find black rice for a lonng time around where i liv….may i sub it with red/wild/brown rice? 2. I find some measures a bit amusing…1/3 of an onion…1/4 heaped tsp (can i just take 1/2 a tsp?)3. Which beans may i use if i dont find edamame? 4. Wat qualifies as “greens”? 5. May i use shiitake mushrooms if i dont hav cremini? I am obsessed with your blog! I came across your pumpkin chili recipe and 2 days later I was doing the 5-day cleanse!! I haven’t tried a recipe that I didn’t like! I’m trying these tacos tonight and my husband and I are super excited. For the first time in his 29 years he’s finally eating a good amount of veggies! 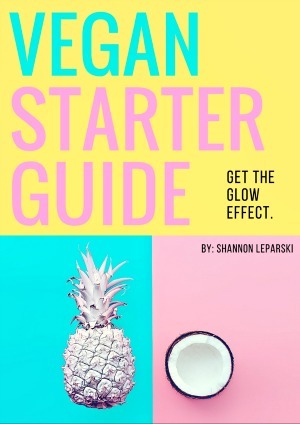 thanks for all of your inspiring recipes Shannon! Hiii Emily! Omg, love. How did you like the cleanse?! And why is it so hard to get boys to eat more veggies?! LOL happy I can help though 🙂 Love hearing from you. Let me know if you ever need anything! Just made this dish on my breakfast but I used brow rice instead black rice (because I didn’t have any black rice). And, the result was also delicious. Very nice. 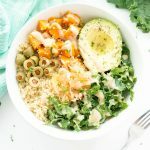 I’ve just made this bowl for my dinner with a few exceptions and substitutions due to allergy reasons, I didn’t realise it to be as filling as it is! I’m still trying to come to grips with tahini and convince myself that I like it, however this combination of ginger, lemon and tahini may be just what I needed! I devoured the bowl like there was no tomorrow, it was gorgeous. I came across you blog one day when I wasn’t feeling well. Ever since then I have been inspired by you to eat more vegetables. I’m not vegan, but I enjoy vegan recipes. My energy and outlook on my health has improved. I have made this dish and a few others and they have always been delish!! Thank you!!! If I wanted to make this for the week, do I double up on the ingredients except for the rice because I’ll probably have a half a cup. This looks so good! I can’t believe how health black rice is, I’ll definitely have to get some the next time I’m at the grocery store.